A demolished distillery and a small unknown bottler. Lady of the Glen is bottled by Hannah Whisky Merchants, run by one Gregor Hannah, from Inverkeithing, Fife. Caperdonich? Gone and remembered. Though not the most popular lost distillery. Looking for a value buy on rare Scotch. This is it right here, no guarantee it will ever reach the high water marks set by the likes of Brora or Port Ellen. Do the stills look familiar? They were built to copy Glen Grant next door, and it wasn’t just the stills that were copied. Caperdonich used the same malt, the same water, the same yeast, the same distillation regime. In fact the spirit was meant (and may have been) to be vatted as a single malt of Glen Grant 1 plus Glen Grant 2, and yet its spirit was more than a little different. 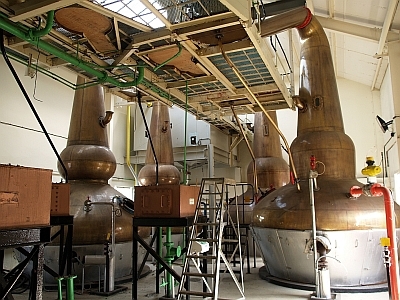 Is whisky making more art than science? Nose: Clear and cereal-y buttery sweet. A lot of cracked black pepper. A lot. Also dried lemon slices. Rather high toned, slight oily weight but really no heavyweight. Herb infused olive oil. Sage? With water: Less sharp, more weight. Palate: It’s a cerealy sweet entry, but immediately turns eye wateringly spicy-peppery-hot – and if it’s possible, getting even drier and dustier and hotter. Curiously, the opposite of mouth coating, as if all flavour fled to the cheeks. Doesn’t sit well on the tongue (rather weightless) but develops peripherally on some metallic notes, plastic, chest balm, and paraffin. Needs water: Less strange but the spirit is unchanging. Perhaps more better development with water. Finish: Long but dry, with bitter petrochemicals. Interesting though completely odd mouth. Not the best Caperdonich I’ld reckon. Score is with water by the way. 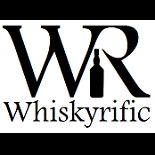 This entry was posted on March 31, 2015 by Whiskyrific in Caperdonich and tagged Caperdonich.